Russell Sutton has been named President of The Lummus Corporation, a leading solution and equipment supplier to the cotton ginning, oilseed processing, and affiliated industries. 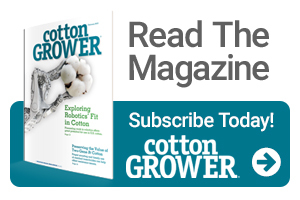 Sutton brings to his new role over four decades of industry experience in all functional areas of cotton ginning machinery company operations, including sales, service, engineering and manufacturing. He will oversee the day-to-day operations of Lummus and its core business of cotton ginning, oilseed processing, and manmade fiber machinery, along with parts and service for those industries. A graduate of Texas Tech University with a degree in Mechanized Agriculture, Sutton is widely known and admired throughout the cotton ginning industry. He came to Lummus in November 2006 as part of the company’s acquisition of the Consolidated product line. Since then, he has served Lummus as Vice President of Domestic Sales. Prior to joining Lummus, he worked with the Consolidated gin machinery line, beginning with Horn Gin Machinery in 1979 and progressed through the Consolidated HGM, Consolidated Cotton Gin Co., Inc., and Consolidated/Products by Big 12 companies. In addition to his company service, he also contributes to the industry through educational programs/schools, technical articles, and support of ginner organizations/foundations/boards.